We received a boatload of new Island Batik pre-cut bundles, and these little roly-poly guys are a new (to us) item. Each roll contains 4 batik strips that are 5" x the width of the fabric. 4 different fabrics. Neatly packaged and ready for your collection! 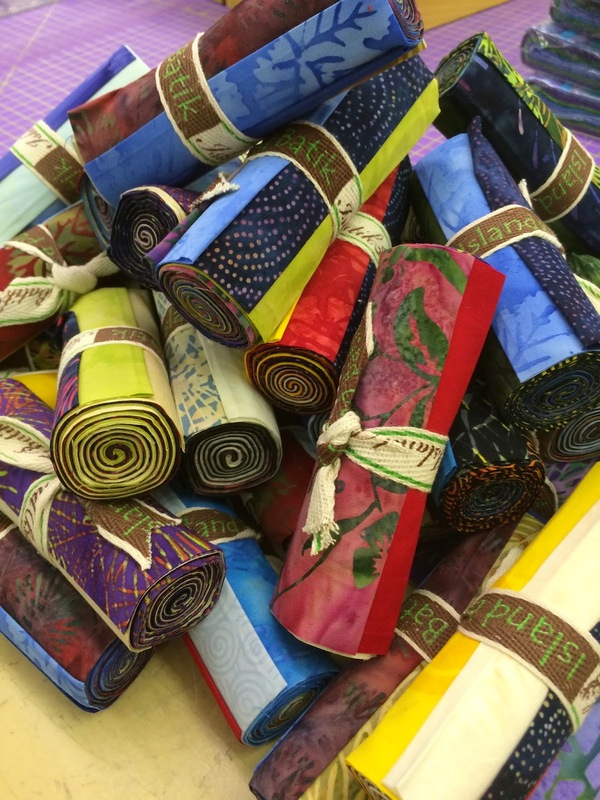 Island Batik 5" strip bundles are $11.50 each. I like the little swirls on the ends! There's some good variety, so there must be something there for everybody! 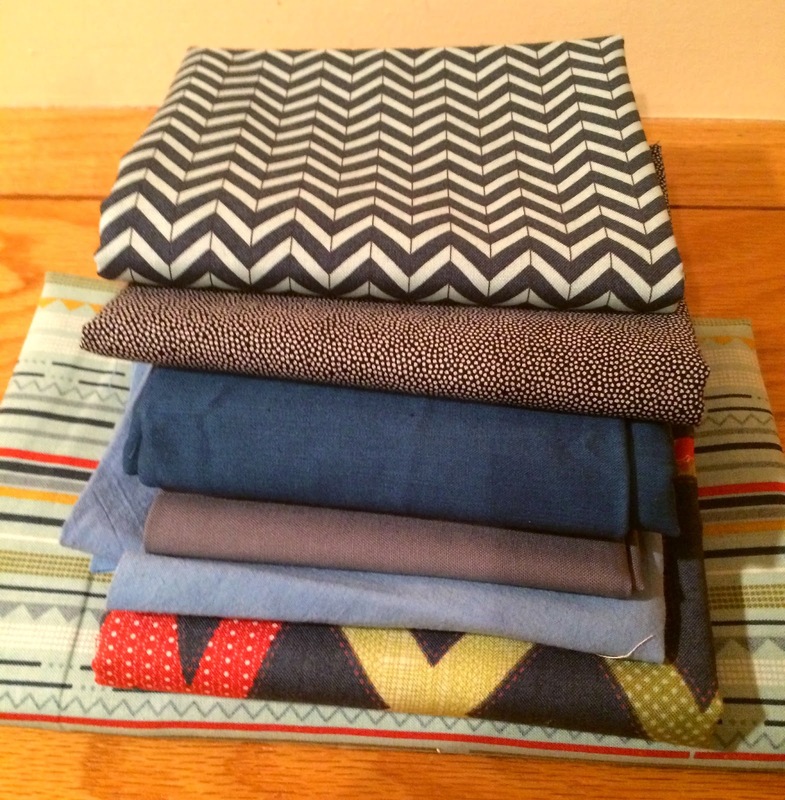 If you want to do the math, each bundle would yield about 32 - 5" squares. Not quite as big as a standard "charm pack". But what a great way to pull in some little bits of additional colors to something that calls for 5" squares. 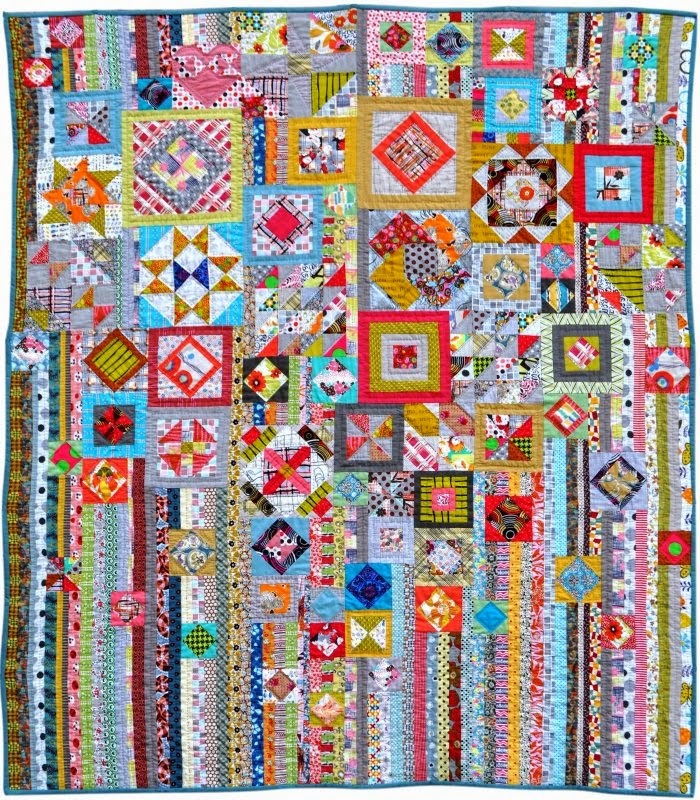 Interested in more quilt patterns for 5" squares? Since this has become a very popular size and they come direct from the manufacturer to us, there are an abundance of patterns written for them. You will find them in many places, but one good spot to go to is the Moda Bake Shop website. They have a lengthy list of free patterns for you to consider. Have fun! Progress has been made! 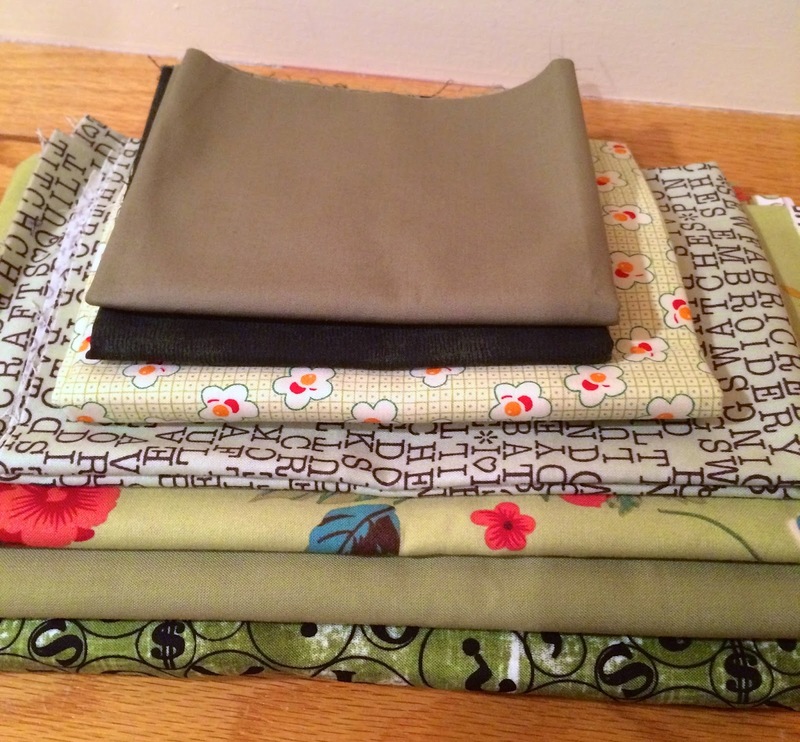 I have sewn up the February blocks that I had up on the design wall and it feels good! I'm actually done before the month is done! 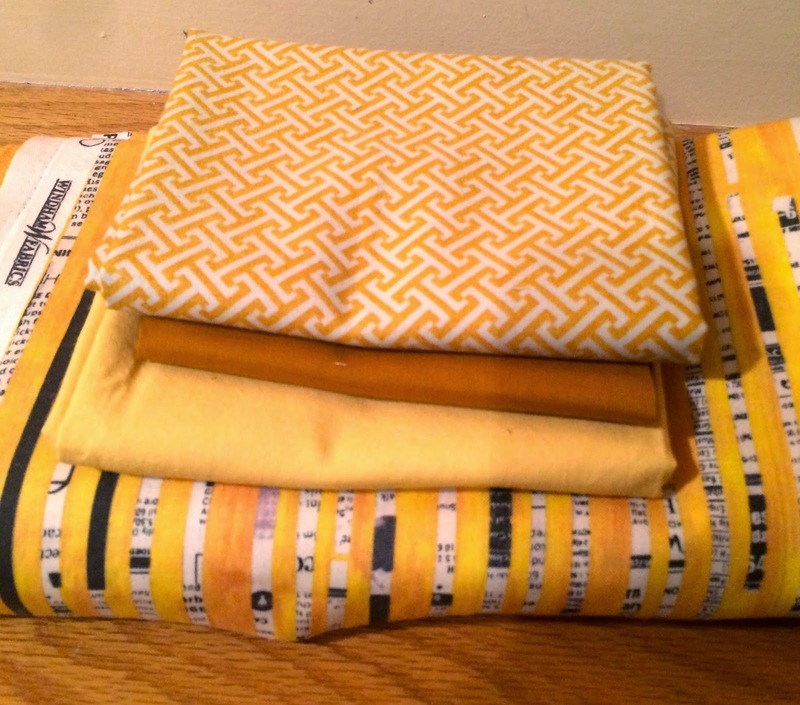 I am basing my color choices on some fabric from a line of fabric by Moda, the PB&J group by Basic Grey. 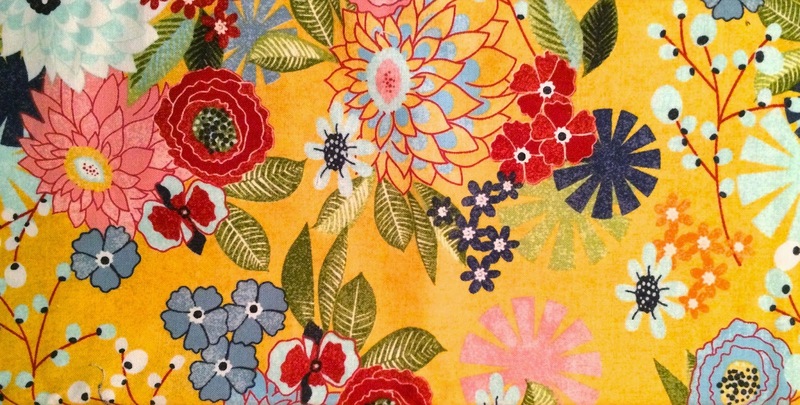 One of the key pieces is a large floral. From this print I am putting together some assorted coordinates. Some of them are pieces of the same group, some of them are from my own shelves. I am grouping them by color here. These should carry me for most of this quilt, in various amounts. Something like this just takes a little trial and error to get it right. And patience! And a bigger box! It's time to help you decipher the code from the end of the fabric bolt! Not every bolt is the same, which adds to the mystery. And there are 2 parts to understand, one from the manufacturer and one from Bear Patch. The manufacturer's label will show the company name in easy-to-read text. The rest of it is tiny (keep your reading glasses handy) and informative if you give it a chance. the Item ID from the manufacturer. We often abbreviate what the manufacturer created as the original Item ID since we have only an itty-bitty space to print it! Here are a couple more examples to illustrate the variety of labels we see. The orange batik bolt includes the name of the designer, Jason Yenter. The name of the fabric group, floragraphix, is kind of a trademark for him because his fabric designs often include "graphix" in the name. There is a handwritten number "12" on the label. This is not the price, it is the yardage on the bolt. That leads to confusion sometimes for customers. Always be sure to ask if you aren't sure of the price, we don't want any surprises at the register any more than you do! And this one includes the designer's name (Kaffe Fassett). But don't let that red X confuse you into thinking that this is a marked down bolt. 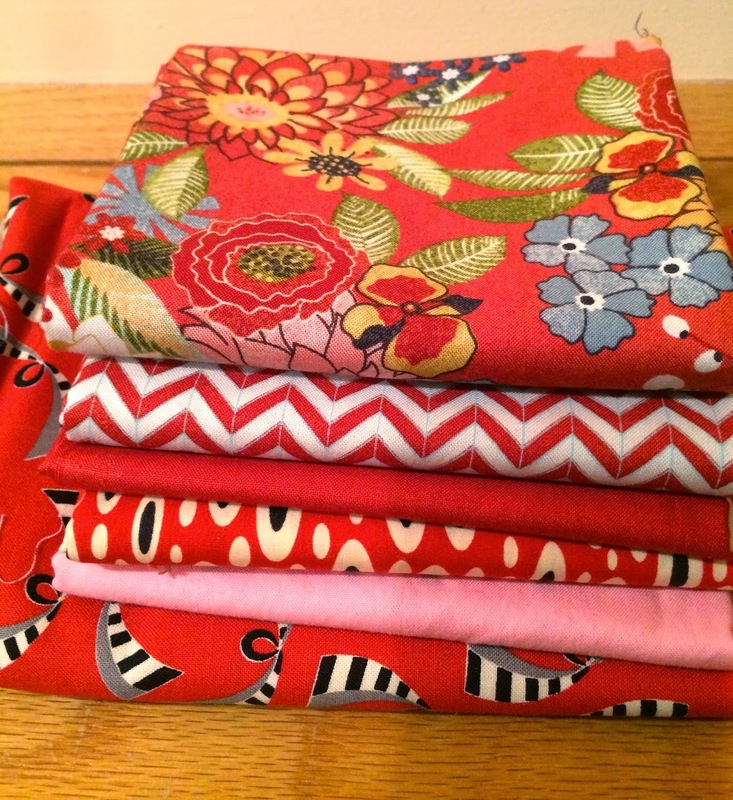 We do mark our sale bolts in red marker with the price per yard, not an X! Here's a bit of trivia: you might notice the little tiny "Coats" almost cut off the right side of the picture. The Coats company owns Rowan and Free Spirit fabrics, as well as Susan Bates, Anchor and Red Heart yarn. And you thought they just made thread! So there you go, more about bolt labels than you ever wanted to know!